Summer is around the corner, and Pinterest, of course, is hopping with ideas of summer fun for kids. Bloggers round up not just a dozen, but 100+ Summer Activities for Kids. Posts that have “boredom buster” in their title are especially popular together with all kinds of summer bucket lists. 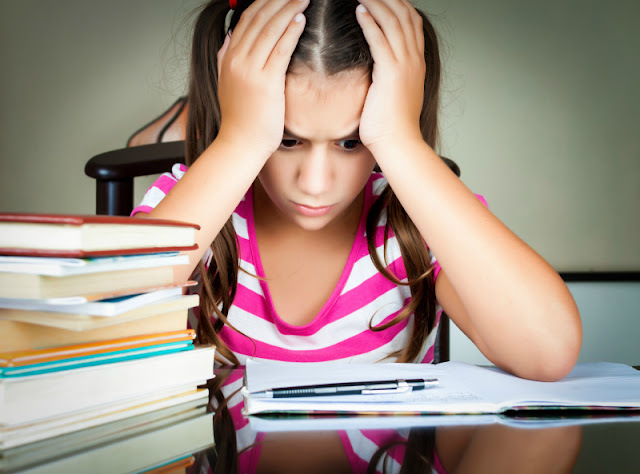 It’s hard for us, parents, not to lose our heads searching for that magic pill that will guarantee a “summer of learning and fun” for our children. But are we perhaps taking it too far in our desire to educate and entertain our kids? Are we replacing their creativity with our own, replacing their desire to learn with our desire for them to learn what we think they should be learning? Are we stuck on a hamster wheel of “having fun” while in fact feeling stressed and confused? I am a working parent, which means that I only have a certain number of hours a day I can spend with my child. 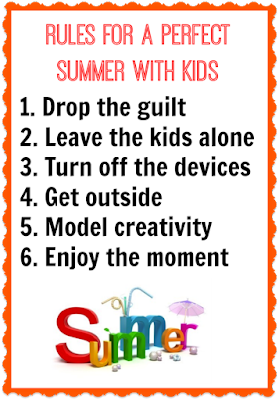 And, even if I would love for my daughter to have more “unstructured time” during summer, it’s not going to happen. She is going to attend summer camps where she will be “cared for by strangers”. I find this “cared for by strangers” phrase specifically designed to induce parental guilt when we make our choices on how to educate or entertain our children. Well, perhaps we should drop the guilt and acknowledge that most children thrive in summer camps run by professionals. In previous summer camps, Smarty learned to use hot glue gun, created a lot of interesting projects and went on fantastic field trips to the museums and fun places. She is eagerly looking forward to summer camps of this summer, especially to a science camp – Camp Galileo. It’s important to look for signs of a good summer camp, and your children will spend a wonderful week or two (or more!) of their summer. I don’t mean “home alone” even though I believe that most kids over 7 are perfectly able to spend an hour or two home alone at daytime. I simply mean that summer boredom is not necessarily a bad thing and that even younger kids should be able to find ways to entertain themselves without tearing their homes apart. My husband and I always liked to take naps on weekends and our daughter had her own unsupervised “quiet time” since she dropped her own nap at the age of 3. Now, at the age 8, she often spends her time on her own either reading or, lately, trying her hand at sewing. Sewing is something that she wouldn’t do under my “eager encouragement” – another sign that sometimes less intervention means more effort from our children. I am not talking about kids’ devices here. I am talking about our own. I found that I cannot really focus on having fun with my family when my computer is on and my phone is beeping or buzzing every 2 minutes. So now we have “dark hours” when our devices are turned off. Ironically, as we turn off our own devices, we are actually loosening our rules around computer time at home. Now Smarty can have “free time” on our iPad if she is using it to create something. She still has limits on game time when she plays one of those mindless but fun platform games on CoolMath Games. 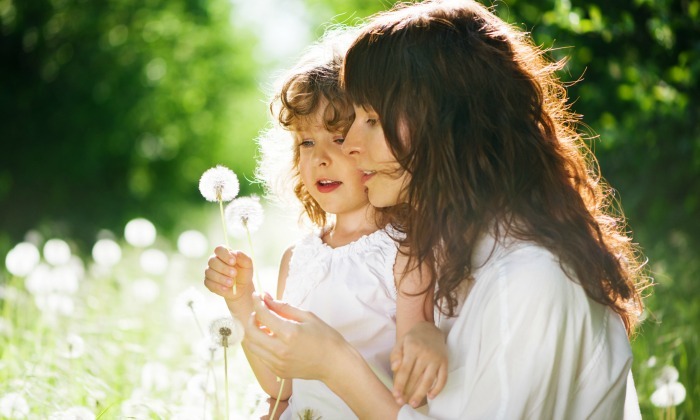 My goal is to spend some time outside with my child every day doing things we both enjoy. Luckily, now we have a shared hobby of playing tennis. Smarty was taking tennis lessons for a year, and now finally she is good enough that we both can enjoy a game (still on a half-court with the balls that have less bounce). You might want to join your children on a bike ride, fly a kite, garden or draw with chalk – do whatever you enjoy doing, and you will probably see your children joining you. Also, your children should have unstructured time outside. Depending on your free-range views and the age of your children, it can be 3 feet from you or somewhere within your neighborhood. So far our 8 year old daughter has “around the block” range that we might extend to the nearby park this summer. We all want to raise active, curious, and creative children, but research shows that children are affected much more by what we do, than by what we say. If we spend your free hours playing video games or watching TV, why do we expect kids to do something different? Unfortunately, my husband and I are not the best example for our daughter, because both of us have computer-based outlets for our creativity – I blog, and he programs for fun or tries 3D printing. We also read for pleasure, and this is also how our daughter tends to spend her free time – either reading or on the computer. Our children will most likely not remember every one of their “summer bucket list” activities if you have a bucket list. We will not remember them either unless we obsessively photograph them. My goal for this summer is to simply go with the flow and not to “force the magic”. I am sure that there will be a chance for us to experience it together with our children if we are mentally present when they create their own memories of this summer. What (if anything) are you going to do differently this summer? Turn off the devices!?! Do books count as devices? I'm not sure I'd survive :) But you're right, children do what we do far more than what we say. And a little boredom boredom can be a good, if not overly bloggable, thing.